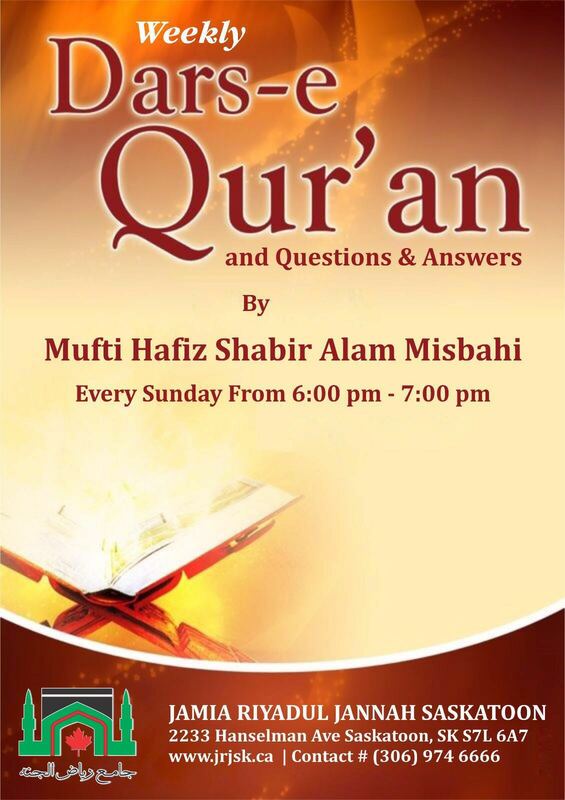 Mufti Shabbir Alam Misbahi delivers Dars-e-Quran (understanding of Quran) on every Sunday from 6 pm to 7 pm. Please attend this very informative session. All donations given to Jamia Riyadhul Jannah, Saskatoon are tax deductible.